“14 Sleeps to go! 14 sleeps ’til Santa…!” That’s right! Only 14 nights left, until the cheery fella in his red suit slides down your chimney and fills your stocking with presents! If you’ve been good of course! 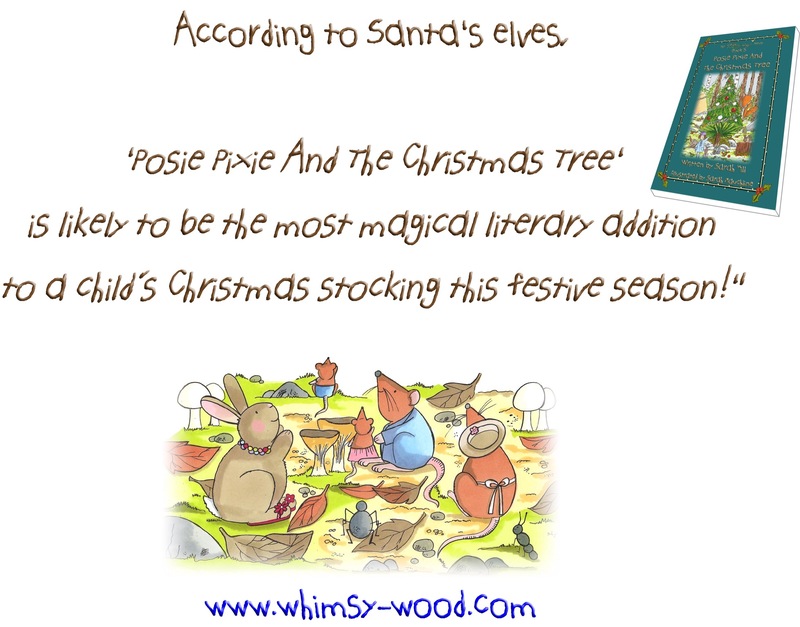 In ‘Whimsy Wood’, ‘Posie Pixie’ has been trying very hard to be especially good as Christmas approaches. She’s been fetching the shopping for her ‘Granny Pip’ from ‘The Woodland Store’. She’s been helping ‘Mr. Bilberry the blackbird’ deliver the Christmas post to the woodland folk and she’s been secretly knitting ‘Wibble Woodlouse’ lots and lots of silken socks for her 6 tiny feet for Christmas! ‘Skittle Spider’ kindly gave her some of his home-spun silk, especially for these special socks and ‘Mrs Spottisdowne the sparrow’ showed ‘Posie Pixie’ how to knit them! 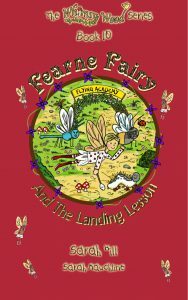 I do hope Santa brings ‘Posie Pixie’ lots of lovely Christmas presents this year and that ‘Wibble Woodlouse’ loves her scrummy socks from her best friend!